La Cloche Silhouette Trail is a 48-mile trail found in Killarney Provincial Park in Northern Ontario. 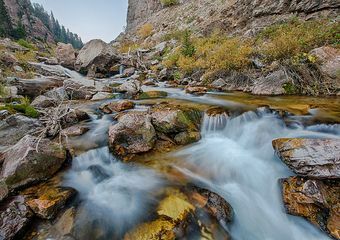 The signage in the park suggest taking a minimum of seven to ten days to hike the trail, but anyone with decent backcountry experience can do it in much less time—think four to six days. There are four main sections of the trail: the Baie Fine, Three Narrows, Hansen Township, and Killarney Ridge. In the Killarney Ridge section, you can find Silver Peak, the highest point on the trail. It is a short side venture (2.5 mile round trip to the top), but has some of the best views of the trail. It is definitely worth the detour. Scenery | Boreal forests and rocky ridges, lakes and rivers. Terrain | Difficult, with some very rocky sections including ascents/descents. Permit Required? | Yes (included in camping fees). Guidebook and Map | Hard copies of map available at local outfitters, including Lefebvre’s, Mountain Equipment Co-op (MEC), Killarney Outfitters. A detailed online map including trail mileages can be found at Jeff’s Maps. 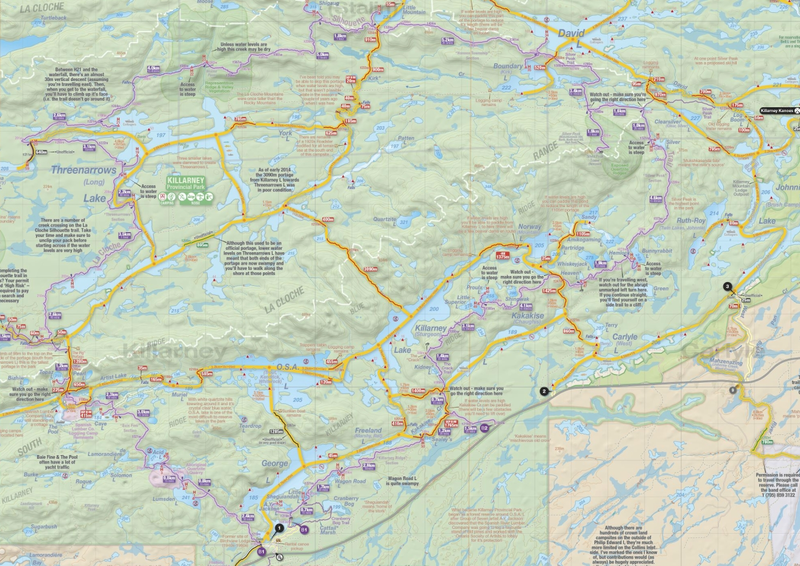 Killarney Provincial Park is located off Highway 400, just south of Sudbury, Ontario. It is approximately 4.5 hours drive north of Toronto (and can be reached from Toronto using the Parkbus service). The trail terminuses are both in George Lake Campground in Killarney park, which is located just off the Trans-Canada Highway. 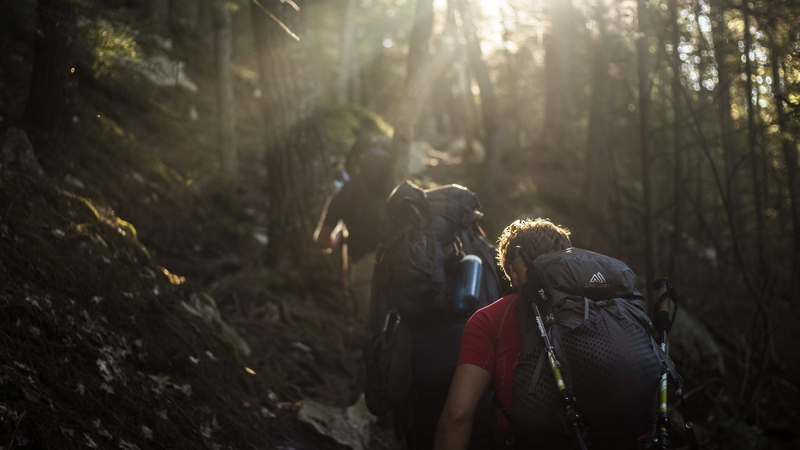 Most people hike this trail clockwise because the easier sections of the trail (Baie Fine and Three Narrows) will come first, with the more difficult sections and elevation changes (Hansen Township and Killarney Ridge) will come later on when your pack is lighter. Those wishing to start hard and progress easier should go counterclockwise. The trail is well marked with blue markers, and the side trails to campsites are marked with yellow markers. Other intersecting trails may be marked with orange markers. 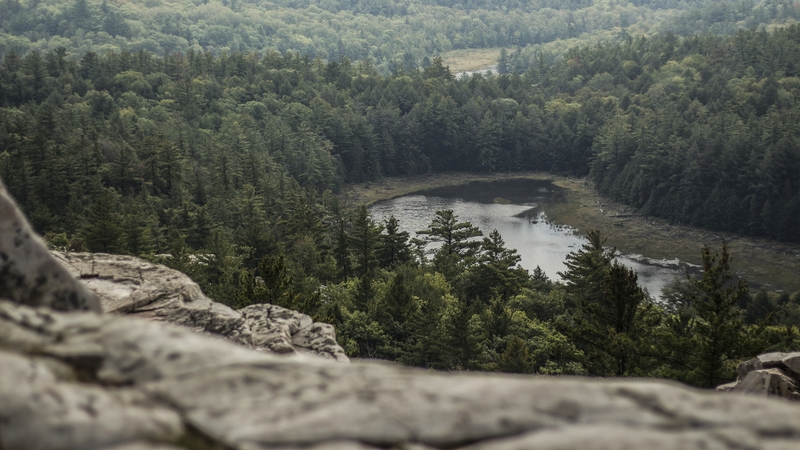 Why Hike La Cloche Silhouette Trail? It is located in the Canadian Shield, a distinctive and ancient geological formation that spans most of Ontario and Manitoba. It is characterized by an exposed bedrock and thousands of small, interconnected lakes. As a result, there are massive, beautiful rock outcrops and vast boreal forests. Many of the lakes are crystal clear, allowing you to see into their depths. This region’s harsh and unique beauty is unparalleled. One of the most interesting parts of the trail is the famous Crack, a giant chasm that hikers must traverse. The terrain changes rapidly due to an elevation drop from rocky and coniferous forest to swampy and hardwood trees. The views at the top are excellent and hiking through that chasm is a unique experience. Winter hiking this route would be dangerous—the rocky ridges would be icy and treacherous, the trail markings may be invisible under the snow, and the bodies of water would all be frozen so you would have to boil snow for water. Spring and autumn can be very chilly as well. I tried to do the loop the last weekend of September and had to turn around after one night because my gear was inadequate for the weather. It was cold, but damn! It was so beautiful. Be prepared for absurd amounts of bugs in early summer, so late summer and early autumn would be the best time to hike this trail. I would recommend the latter; the forest colors in autumn look like someone threw a paint palette at the trees; it is incredibly beautiful. Due to the steep ascents and descents of rocky, craggy ridges, trekking poles are a must on La Cloche Silhouette Trail. Be sure to pack warm enough gear if you are going in late spring or early autumn. This region is home to a variety of wildlife including raccoons, bears, and moose. You should hang your food or bring a bear can, especially in autumn when the bears and moose are more aggressive. There are 14 campsites along the trail, which must be booked in advance (approximately 9USD per night). The campsites can be over a kilometer off-trail (the route is marked), so be sure to figure that into your daily plan. Campsite H7 is at Topaz Lake, which is incredibly clear and blue. I would highly recommend staying there if you can swing it. Some notes about the campsites (such as water access) are listed on Jeff’s Maps, so it is a good resource to use when reserving your campsites. 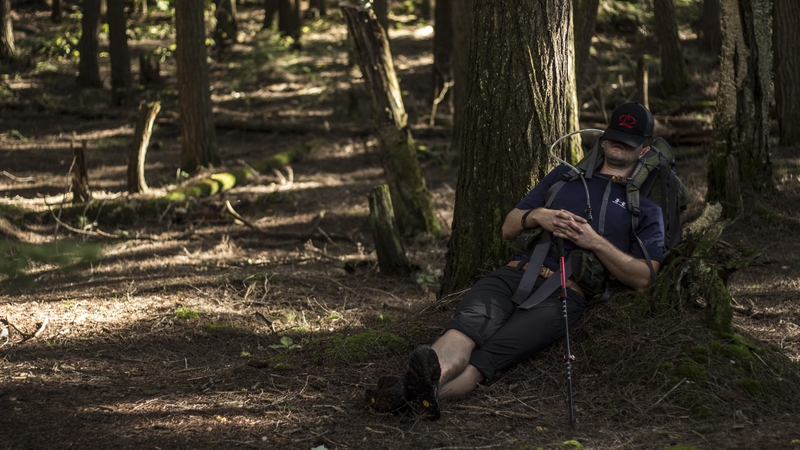 The backcountry camping sites can be booked at the park office or by calling the Ontario Parks Reservation Call Centre at 1-888-ONT-PARK (1-888-668-7275). Note: backcountry canoe sites can be booked online, but few of them are close enough to the trail to use while hiking. These sites fill up quickly, so I would recommend booking them at least a month in advance, especially during the summer. During the recession of the glaciers at the end of the last ice age, innumerable basins were scraped out of the bedrock in the Canadian Shield. These days, that means that there is an abundance of lakes in Killarney Park, connected by rivers and seasonal streams. All water in the park must be filtered, and if you notice a beaver dam on a particular body of water, try to avoid getting water there. Giardia is locally referred to as “Beaver Fever” because it is prevalent in water where this national animal lives (yes, the beaver is an official symbol of Canada). Most campsites have water sources, though some have very steep water access. There are some small dirt roads that access the trail, so it would be possible to leave caches for yourself on trail. This is serious black bear country so anything you leave should be hung or in an animal-proof container. However, it’s a short enough trail that it is not really necessary to leave food drops. 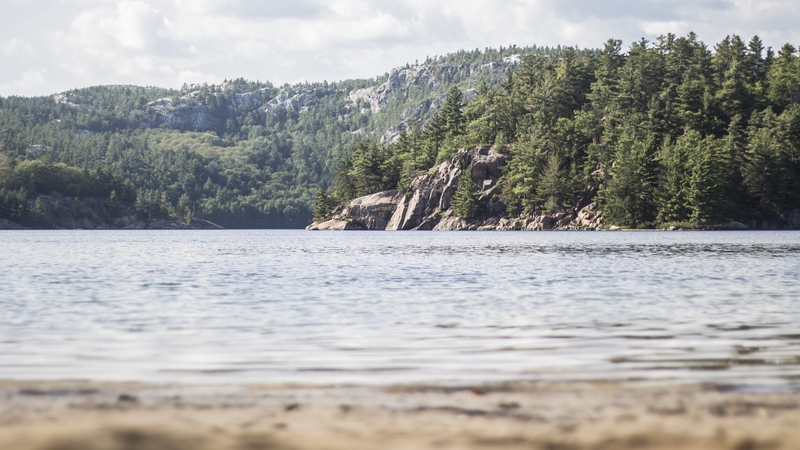 Killarney is a gem of Ontario, and La Cloche Silhouette Trail is a fantastic way to see it firsthand. It is an incredibly beautiful area, remote enough to not be swamped with tourists, but still well-established enough for outdoor enthusiasts of all kinds. There are many backcountry hiking and canoeing routes, and front-country camping for all seasons. I’ve lived in Ontario most of my life and would call Killarney easily one of the most beautiful places in the province. As a native of Ontario and an avid backpacker, I have hiked the La Cloche, Silhouette trail several times. 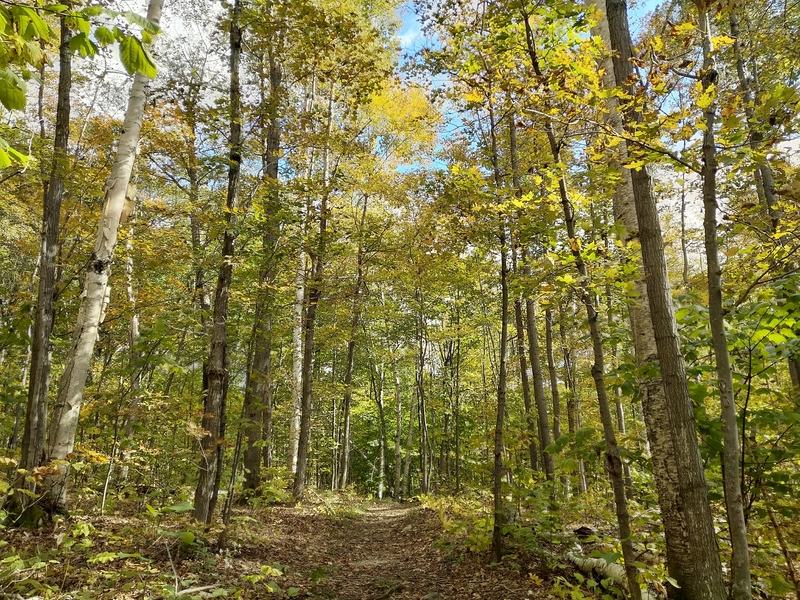 This is a beautiful hike with some of the best views in Ontario, especially in the fall when the leaves change color. Canoeing in Killarney Provincial Park is also phenomenal. 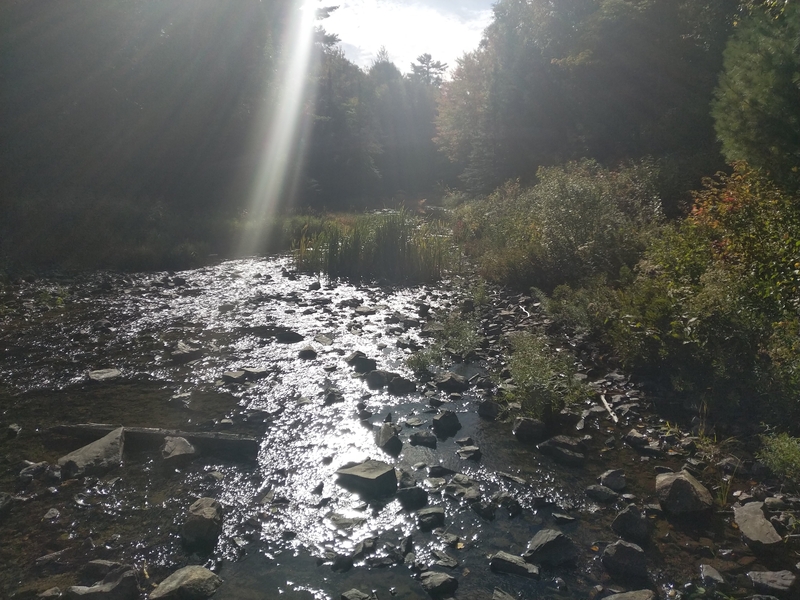 There is also the much less traveled and more remote Heaven’s Gate Trail which is a 40 km back country trail a little further west of Killarney Provincial Park.